Organic solar cells that can be painted or printed on surfaces are increasingly efficient, and now show promise for incorporation into applications like clothing that also require them to be flexible. The Rice University lab of chemical and biomolecular engineer Rafael Verduzco has developed flexible organic photovoltaics that could be useful where constant, low-power generation is sufficient. 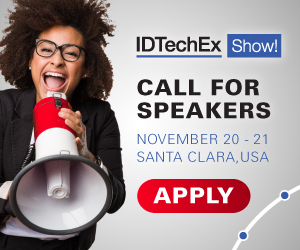 For more information see the IDtechEx report on Printed, Flexible and Organic Electronics 2019-2029 and Energy Harvesting Microwatt to Megawatt 2019-2029. "The field has been obsessed with the efficiency chart for a long time," Verduzco said. "There's been an increase in efficiency of these devices, but mechanical properties are also really important, and that part's been neglected. If you stretch or bend things, you get cracks in the active layer and the device fails." Rather than make a mesh and pour in the semiconducting polymers, the Rice researchers mixed in sulfur-based thiol-ene reagents. The molecules blend with the polymers and then crosslink with each other to provide flexibility. The process is not without cost, because too little thiol-ene leaves the crystalline polymers prone to cracking under stress, while too much dampens the material's efficiency.